More university students in Singapore are enrolling in programmes that lead straight to master's qualifications. Nanyang Technological University (NTU) and National University of Singapore (NUS) have seen increases of up to 10 times the number of students taking these fast-track programmes in the last few years. They allow students to graduate with two degrees - a bachelor's and master's - in 41/2 years, compared with five to six years if they took the degree courses separately. Professor Bernard Tan, NUS' vice-provost (undergraduate education), said these programmes cater to academically stronger students who want to take up a second discipline or specialise in a field. Professor Kam Chan Hin, NTU's senior associate provost (undergraduate education), said such programmes are popular because of the "integrated curricula, the fast track to a higher degree and the substantive international exposure". Some combine qualifications from the same university, while others are offered with overseas partners. Students can also save about 20 per cent of costs when they pursue both degrees together. NTU had 60 students enrolled in such programmes last year, compared with 13 students in 2009. At NUS, more than 100 students in each of the past two years pursued concurrent degrees, up from about 10 in 2009. It offers 27 such degrees, up from 13 in 2009. 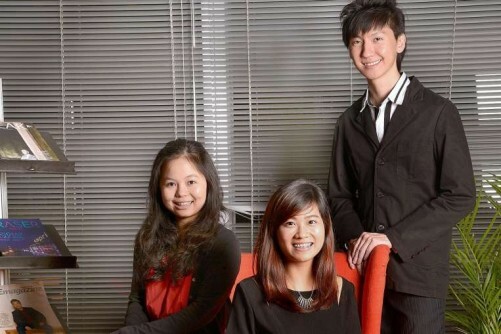 Singapore Management University has had some students who pursue similar degrees since 2007. Yale-NUS College has started offering concurrent degrees in areas such as public health and public policy. The Singapore Institute of Technology allows students in the sustainable infrastructure engineering field to graduate with a Master of Engineering Technology with an extra year of study. Prof Tan said NUS looks out for degree combinations that make students more employable. For instance, its Master of Science (Project Management) aims to equip students from disciplines such as architecture and computing with skills such as risk analysis and budgeting. NUS student Ang Cheng Ning has already taken a few master's modules while completing a Bachelor of Science (Project and Facilities Management) course this year. "I know I want to be in the building industry, so I thought it wouldn't hurt to get a higher qualification in just another half a year," said the 23-year-old, who will graduate in December. Prof Tan said NUS tries to team up with reputable universities abroad to tap their strengths and give students a chance to study at these institutions. For instance, in a tie-up with King's College London (KCL) in three degrees in biophysics, analytical toxicology and forensic science, NUS students get to do research projects at the British university. Mr Shawn Foo, 27, spent a year at KCL and was attached to a British firm to work on a more efficient method to analyse a "club drug". He graduated in January with a Master of Science in analytical toxicology from KCL on top of a Bachelor of Science (Honours) in chemistry from NUS. He is now a crime scene specialist with the Singapore Police Force. The programme attracts students who know early what they want in their education and careers, he said. "It also shaves off school fees - I went over to KCL paying local school fees of about $20,000 instead of international school fees of $40,000," he added. Ms May Lim will graduate from NTU with a Bachelor of Engineering Science and a Master of Science in technology management in December. The 23-year-old liked the integrated curriculum as it "taught us how to apply engineering knowledge in business".